Containerstorageunits.co.uk was established with one primary goal – to offer the very best self-storage in Reigate and Redhill to the widest possible audience. Secure, accessible and affordable – the three things our customers expect and demand. And that’s precisely what we deliver – hence why our business and domestic customers keep coming back for more. If you’re out for the kinds of intelligent container storage in Reigate and Redhill that focus on what really matters, you’ve come to the right place! Self-storage units can be uniquely practical and beneficial, both for business and domestic purposes alike. Whether moving house, decorating, downsizing, carrying out refurbishments or simply looking to declutter, we can provide you with the most cost-effective self-storage in Reigate and Redhill. Not to mention, the promise of our unrivalled customer care package from start to finish. As one of the leading storage companies in the area, our container storage in Reigate and Redhill is used by businesses of all shapes and sizes from all over the region. Many smaller businesses come to us to look after their stocks – the perfect warehousing solution. Others use our facilities to store equipment, furniture and appliances that are not used regularly, in order to free up space. What’s more, we offer container hire and sales for storing vehicles, larger pieces of machinery and almost anything else imaginable. It’s amazing how much difference our storage units in Redhill can make at the right time. For personal and business use alike, self-storage in Redhill can be uniquely convenient and affordable. Whether looking to move house, carry out essential renovations at work or simply free up a little more space for any reason, we have storage containers for hire to suit all purposes and pockets! We can also provide forklift services if required, upon request. For relocation purposes, our storage units in Redhill can make the process so much smoother and simpler. Particularly if looking to downsize your home or business, we can provide you with the additional storage space needed to look after your excess items. Many businesses also use our storage units in Redhill units as inventory overspill spaces – far cheaper and more efficient than going about warehouse expansion efforts. 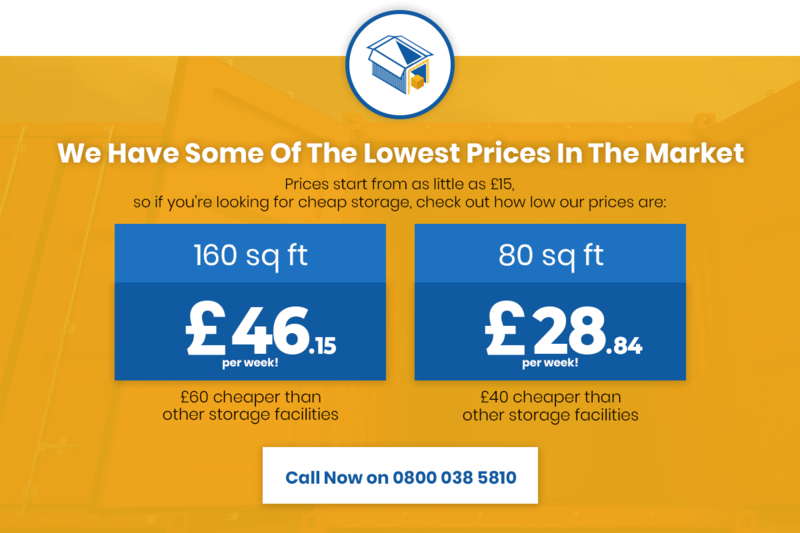 And for the smaller business or home start-up with little to no space whatsoever, affordable self-storage in Redhill really could make all the difference. Our services packages are created in unique accordance with the requirements and budgets of our customers, one by one. So if you’d like to discuss our flexible and affordable self-storage units in Redhill, give our customer service team a call today. Alternatively, pop by our facility just off the M25 for a chat.